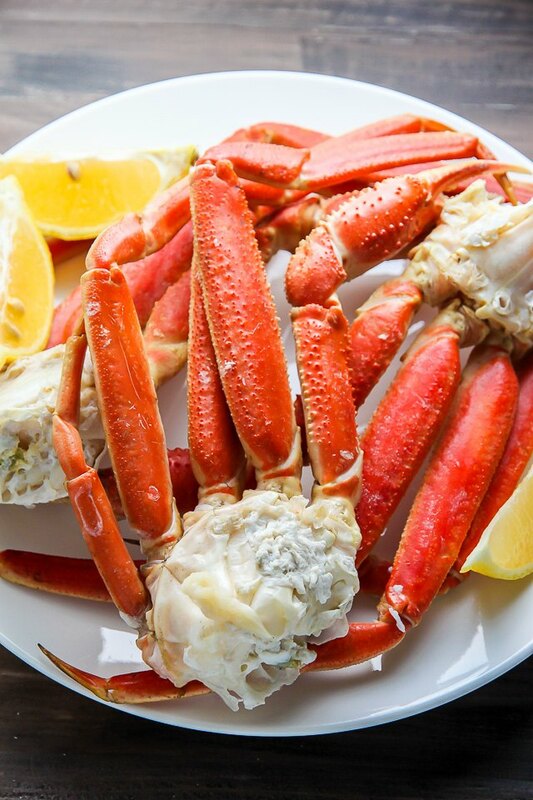 Serve the crab legs with fresh lemon wedges, melted butter, and plenty of napkins. 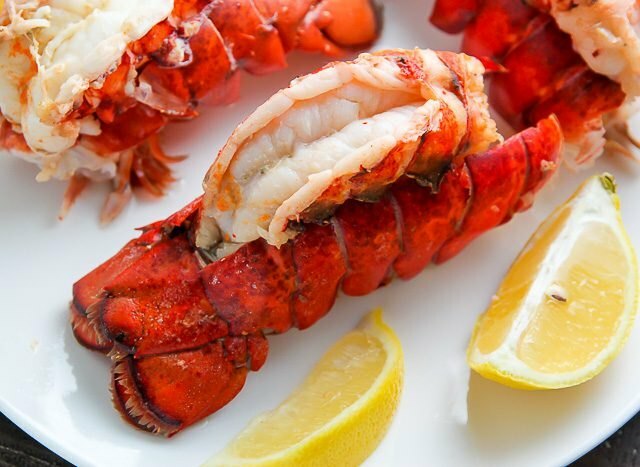 Preheat oven to 400 degrees Farhenheit. 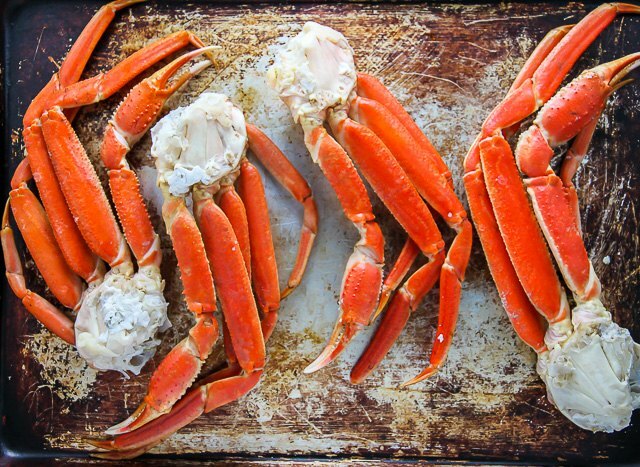 Place the crab legs onto a baking pan and pour a 1/2 cup of water into the pan. 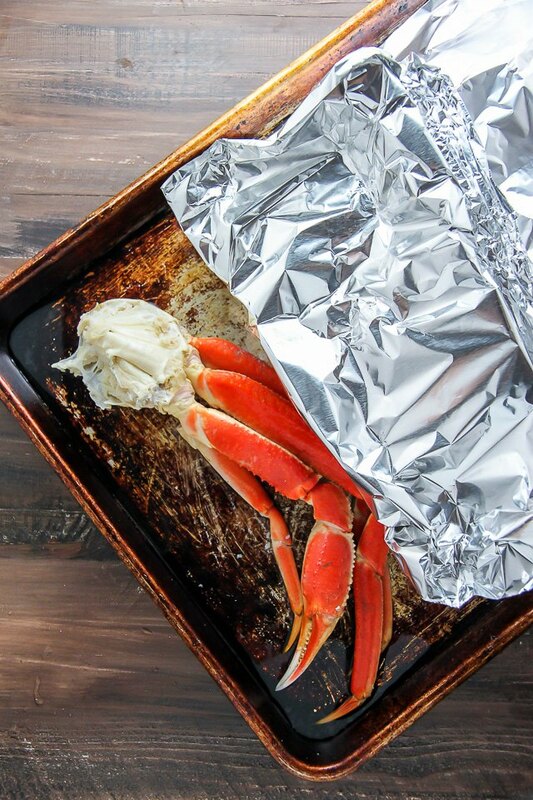 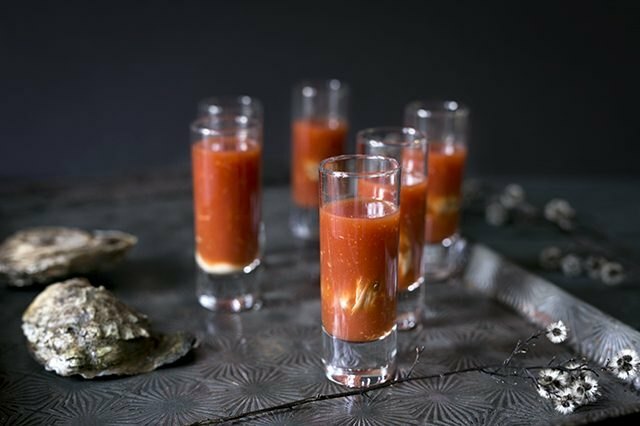 Cover with tinfoil, and bake for 15 minutes, or until the shells are bright red and the meat is white and firm. 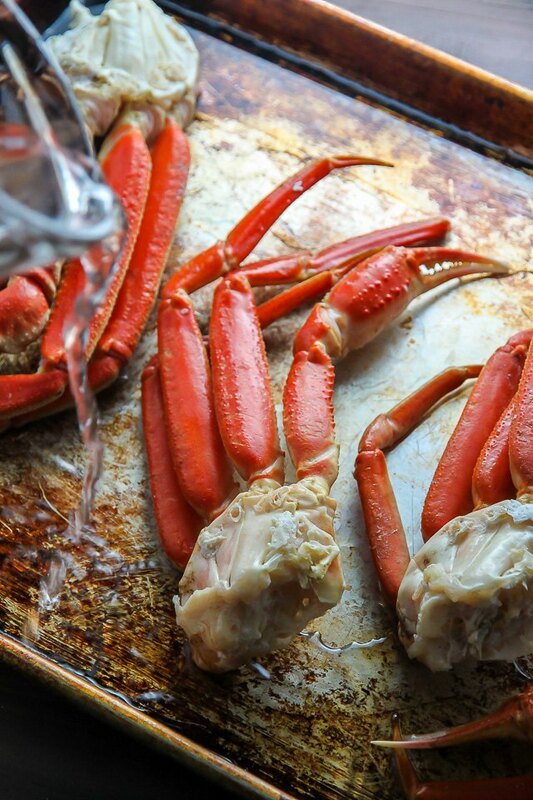 Remove the crab legs from the oven and serve them warm, with melted butter and lemon wedges.